The crab from the Disney movie about mermaids is pretty optimistic that everything's better under the sea. Humans -- no fins, no gills -- aren't always so sure. 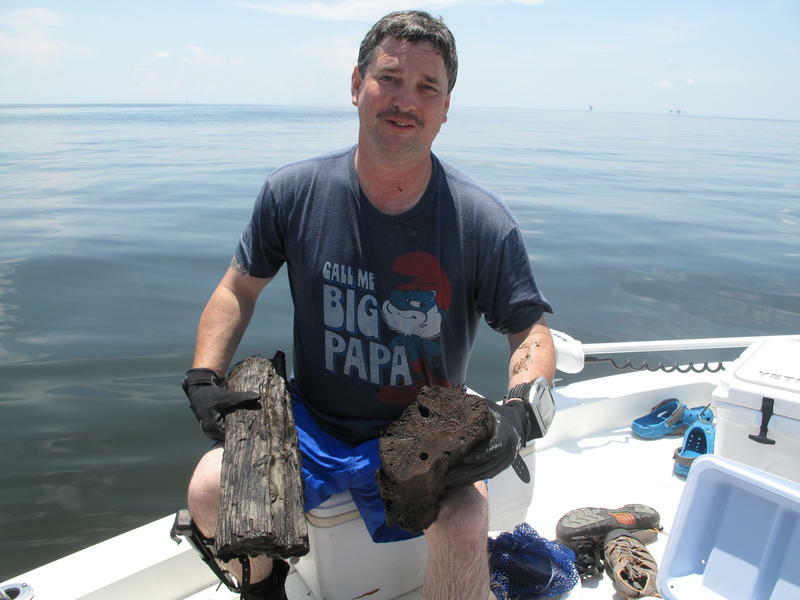 “The idea that what’s land and what’s ocean, that the boundary line is going to move, is a really tough, disturbing concept,” says John Englander, a Boca Raton-based oceanographer, climate consultant and author. "The good news is, we have time to begin adapting." In South Florida, communities and leaders of all backgrounds and political leanings have started to acknowledge the problems of climate change and sea level rise. 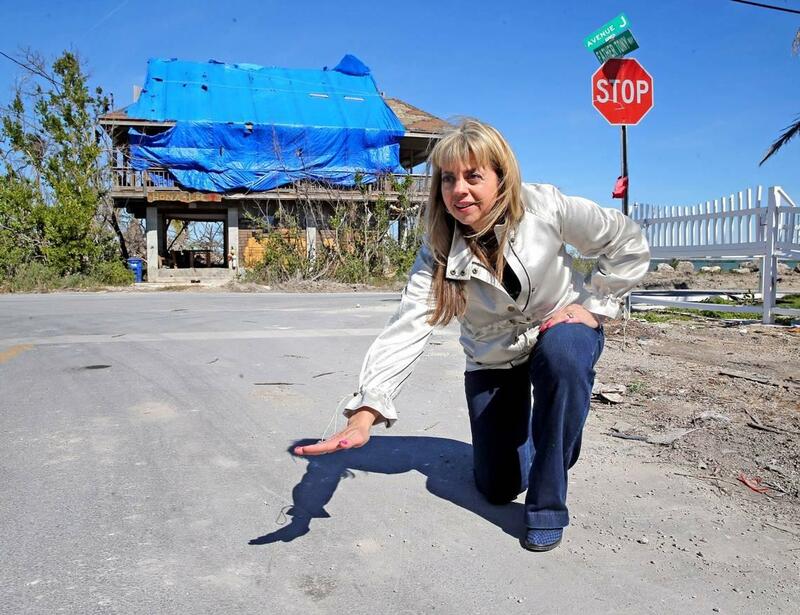 From the Florida Keys to Palm Beach County, projects are underway to prepare. People are beginning to talk about rising seas as if adequate preparation, funding and human ingenuity will save South Florida from the problems it’s already experiencing: increased flooding, decreasing property values, stronger hurricanes and saltwater intrusion into wells that provide drinking water. That’s part of the story, but there's more to discuss. Experts say optimism plus planning and innovation can lead to long-term solutions -- and maybe even economic growth. The Southeast Florida Regional Climate Change Compact is a collaboration among Broward, Miami-Dade, Monroe and Palm Beach counties to address climate challenges and other long-term issues that threaten future quality of life in South Florida. It includes a “unified sea-level rise projection” for how much seas might rise between now and 2100. 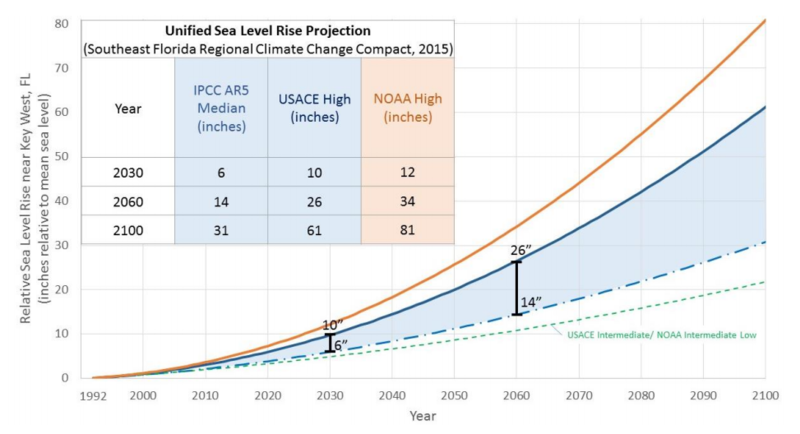 The sea level rise projection used by Palm Beach, Broward, Miami-Dade and Monroe counties. The counties’ projection is based on data from the National Oceanic and Atmospheric Administration (NOAA), the U.S. Army Corps of Engineers and the United Nations’ Intergovernmental Panel on Climate Change (IPCC). Each of these groups has a slightly different estimate of how seas will rise over time, so the counties’ projection for a given year is actually a range of values. For instance, for the year 2060, Broward, Miami-Dade, Monroe and Palm Beach expect to see between 14 inches (the IPCC estimate) and 34 inches (the NOAA High estimate). Planners often talk about “Two feet by 2060,” which is a middle value close to the Army Corps’ projection of 26 inches. But why is there so much uncertainty around how much seas might rise? One reason is the uncertainty surrounding the world’s ice. Antarctica and Greenland are basically land masses topped with ice that can be miles thick. As the ice melts, it slides into the ocean, raising the seas -- like what happens if you add ice cubes to a glass of water that’s already full. 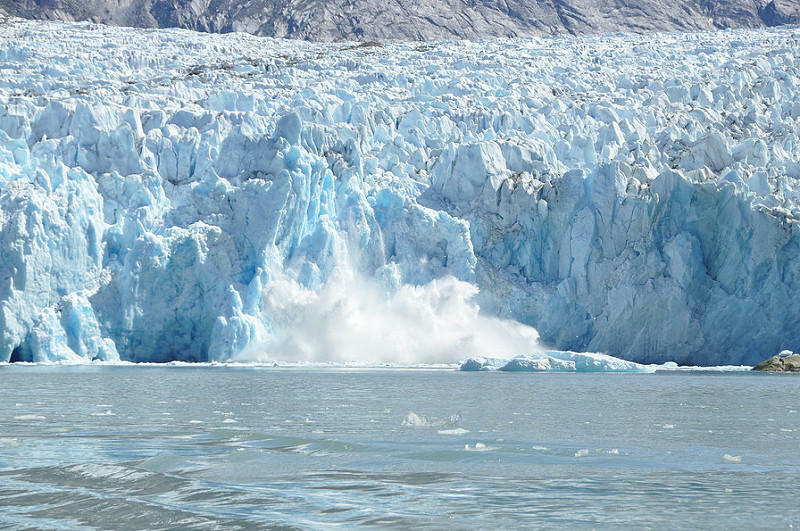 Ice spills off the Dawes Glacier in southeast Alaska -- an event known as "calving" that's becoming more common and contributes to sea-level rise. The world’s ice has never melted at this rate before, so scientists don’t have any historical data to compare current conditions to. 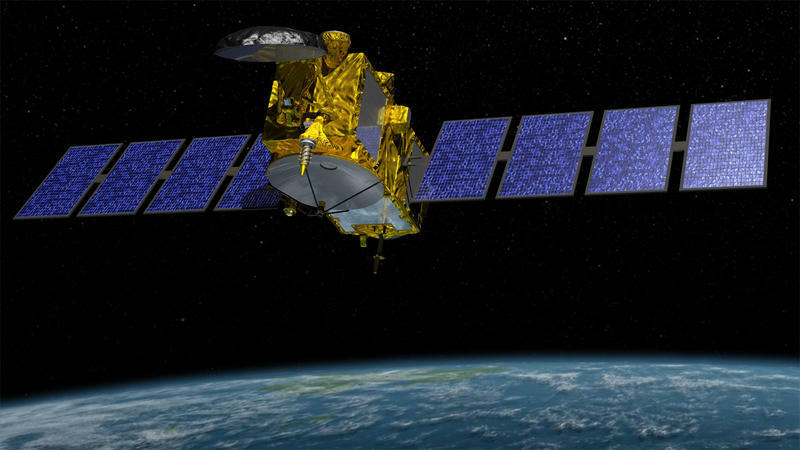 It’s also hard for them to measure glaciers and ice sheets that are the size of entire countries -- or larger. “This is much harder than rocket science,” says Ben Kirtman, a professor in the University of Miami's Rosenstiel School of Marine and Atmospheric Science and the director of multiple climate research programs including a university partnership with NOAA. Kirtman says that because of gravity and global climate patterns (factors like tides, ocean circulation and the wind), the amount of sea-level rise South Florida experiences is closely tied to what happens with Greenland. But, he adds, scientists are certain that people alive today won’t be around to see that. Moreover, current sea-level rise predictions don’t account for the possibility of successful sea-level rise interventions. If technology and policy combine to slow or stop the melting of the world’s ice, sea-level rise can be limited, too. Rhonda Haag, manager of Monroe County's sustainability program, demonstrates how high water reached after Hurricane Irma. Roughly half of the county's roads are susceptible to sea-level rise flooding in the next 20 years, and officials have begun a program to raise some of the roads six to 12 inches. Elevating any higher than that -- "Well, that's expensive," Haag told the Miami Herald. Action by local, state and federal governments is exactly what’s needed, says John Englander, the Boca Raton-based consultant. He says it’s important that people “go green” in their homes and businesses, and that companies work to develop low-carbon energy sources and build green infrastructure as quickly as possible. The “inevitable” sea-level rise is a result of decades of burning oil, coal and natural gas. Those energy sources release gases like carbon dioxide and methane into the atmosphere. The gases trap heat, causing global warming. It takes time for the trapped heat to raise earth’s temperature. So the world isn’t yet experiencing the full effect of all the greenhouse gases that are already in the atmosphere. Ice loss also contributes to global warming. White ice sheets reflect some of sun’s heat away from the Earth. As those sheets melt into the oceans, the ocean blue absorbs even more heat. It’s called a feedback loop, and it’s another reason it’s so hard to predict the rate at which seas will rise. Scientists say the last time the planet was this warm -- in the interglacial period about 120,000 years ago -- seas were 20 to 30 feet higher than they are now. That means humans have likely guaranteed ourselves several feet of sea-level rise in the decades and centuries ahead, regardless of any preventative action we take now. But many climate experts -- the people who have the best understanding of how dire the situation is -- say that doesn’t mean we should give up hope. The response to rising seas takes two forms. First, there’s mitigation: taking steps to limit the amount of carbon that’s released into the atmosphere, which will limit some future sea level rise. 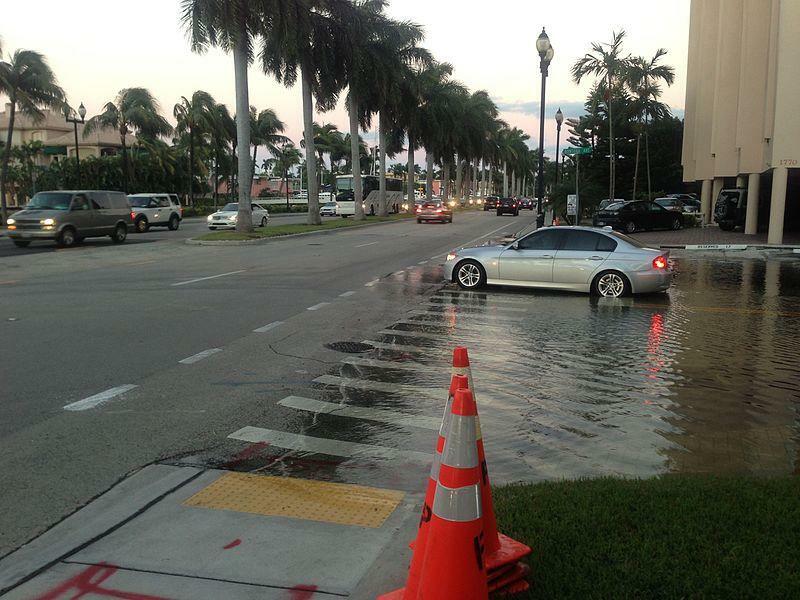 Tidal flooding along Las Olas Boulevard in Fort Lauderdale. Scientists say as seas continue to rise, the frequency of flooding on otherwise dry days will increase. Then, there’s adaptation: redesigning communities to include seawalls, pumps, parks that store water, floating buildings, boats for public transit -- and maybe architecture and technology that hasn’t been dreamed up yet. Adaptation will also entail retreat from areas that are too costly to maintain. In 2016, the U.S. Department of Housing and Urban Development made history with a $48 million grant to relocate about 100 residents of a Louisiana village, Isle de Jean Charles, that has lost 98 percent of its land to the sea. Louisiana officials acknowledge that other communities are likely to follow. He and many other South Florida experts see sea-level rise as a chance for innovation -- and possibly economic growth. Communities worldwide will likely have to deal with sea-level rise sooner or later; as “ground zero for sea-level rise,” South Florida could have an edge in the global economy if it develops and exports its technology, architecture and planning expertise. Kirtman says future livability and growth will require attention to science and policy, but also community discussion about the concerns that come with rising seas -- and their solutions. South Florida could see two feet or more of sea level rise in the next forty years, according to a joint projection by Palm Beach, Broward, Miami-Dade and Monroe counties.